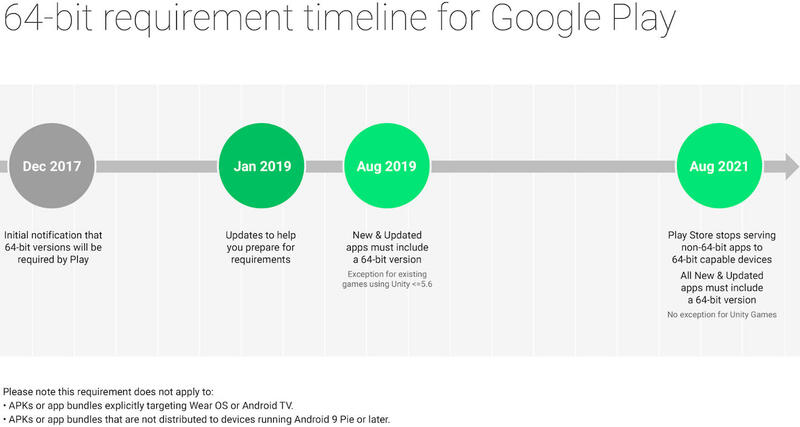 Originally announced back in December 2017, Google has recently released more details about the 64-bit requirement coming to the Google Play store in August 2019. The company outlined a clearer timeline for the 64-bit transition through to August 1, 2021, including extensions for game developers that use Unity. For now, Google Play will continue supporting 32-bit only apps, but come August 1, 2019, Google will require all 32-bit apps to have a 64-bit version when publishing it to the Google Play Store. This is due to Google requiring 64-bit apps in preparation for Android devices that will only support 64-bit code. However, this does not mean that the Google Play store will stop serving 32-bit apps, the Play Store will still continue to serve apps to 32-bit devices, but would only require these apps to have a 64-bit version too. 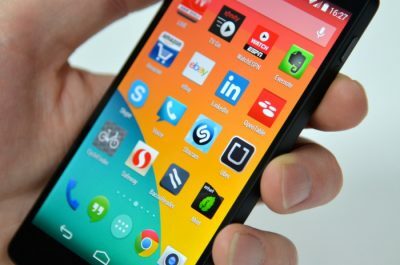 Google has provided ample time for mobile app developers to start developing 64-bit versions of their apps since this upcoming 64-bit requirement has been announce way back in December 2017. All new apps and app updates that include native code are required to provide 64-bit versions in addition to 32-bit versions when publishing to Google Play. Extension: Google Play will continue to accept 32-bit only updates to existing games that use Unity 5.6 or older until August 2021. Google Play will stop serving apps without 64-bit versions on 64-bit capable devices, meaning they will no longer be available in the Play Store on those devices. This will include games built with Unity 5.6 or older. Google gave some extra leeway for game developers using Unity as Unity has only enabled 64-bit support last year. Please note that the new 64-bit app requirement does not apply to apps for Wear OS or Android TVs, since devices running these don’t support 64-bit code. It also doesn’t apply to apps that are not distributed to devices running Android 9 Pie or later. Subscribe and get more articles like this straight to your inbox. Appetiser is your one stop success shop for mobile app development. We don’t just develop, we build and grow successful products. Through proven innovation we have become Australia’s front runner for technical solutions.